Ever wondered who the voice is behind trailers for big films such as The Little Stranger, The King’s Speech, Spooks and many others? The answer is British actor Christopher Kent, who will be presenting his acclaimed show Never Such Innocence in Broadstairs next week. 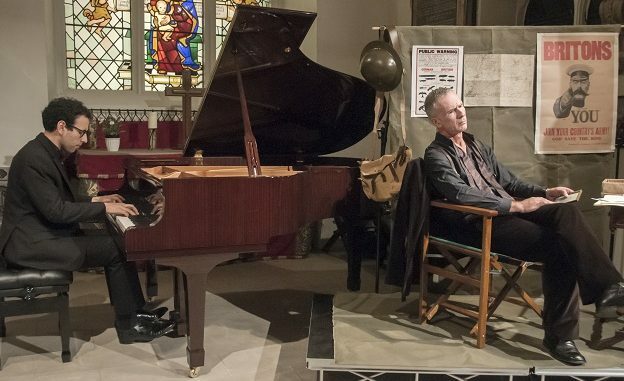 He will appear, with the virtuoso concert pianist William Green, at The Sarah Thorne Theatre as part of The Canterbury Festival on October 20 at 7.30pm. Never Such Innocence was first performed during the Somme 100 commemorations in 2016 and has since been seen at theatres, festivals and concert venues around the country, including sell-out performances in London’s West End. It was also recently featured on BBC Radio 3’s In Tune, when Katie Derham described it as “an incredibly moving performance”.